Princess Alice of Albany has chosen to wear a wedding gown made in London instead of "one dumped into Great Britain by some foreign dressmaker," reports the New York Times. The Princess will marry Prince Alexander of Teck on February 10 at St. George's Chapel at Windsor. The gown will be of "exquisitely soft satin, so fine as to resemble crepe de chene, and its beauty will be enhanced with lovely embroideries and lace." Her "magnificent veil of Honiton lace," with a design including a rose, shamrock and thistle," was worn by the Duchess of Teck and by her only daughter, the Princess of Wales. The bridesmaids will be dressed in pale-blue crepe de chine "trimmed with lace and the "grown-up Princesses will be girdled with waist belts of silver"
Princess Alice's "traveling dress" has been made in Stuttgart, and as "royal brides always wear white traveling costumes," this particular garment will also be white with some "touches of gold passementerie." The wedding between Princess Alice and Prince Alexander will be "one of the most brilliant events of its kind in recent years." Princess Alice is the daughter of the late Duke of Albany and the Duchess of Albany. The Duke was the youngest son of Queen Victoria. He died in 1884. The Duchess of Albany was Princess Helen of Waldeck und Pyrmont. Among the guests expected to attend the wedding will be the King and Queen of Württemberg, the Queen Dowager of the Netherlands (the Duchess of Albany's sister) and the Prince and Princess of Wied. Most of the royal guests will stay at Windsor Castle as "the guests of King Edward and Queen Alexandra." 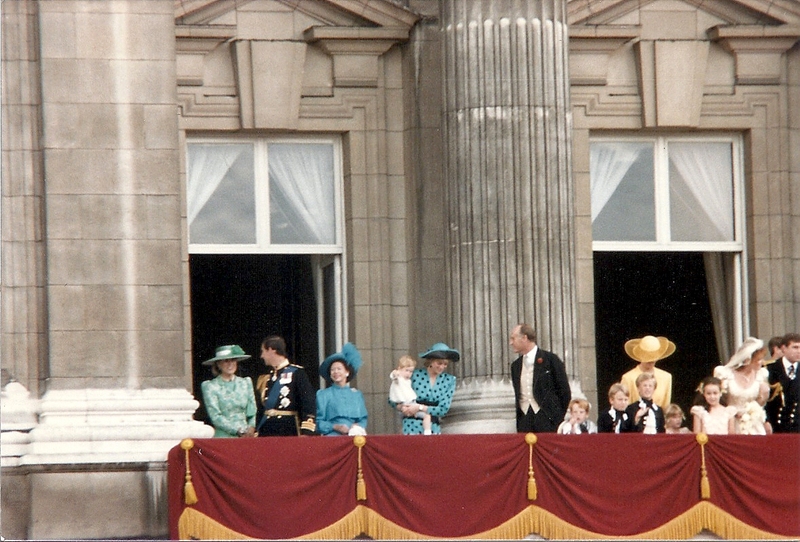 Others will "be the guests of the Prince and Princess of Wales at Frogmore." Princess Alice will be driven to St.George's Chapel, accompanied by her brother, the Duke of Saxe-Coburg and Gotha. They will be met at the door by King Edward who will "give her away." The bride will have five royal bridesmaids: Princesses Margaret and Patricia of Connaght, Princess Victoria of Wales, Princess Mary of Teck, and the "little princess of Waldeck, a first cousin of the bride." The Archbishop of Canterbury will be officiating at the wedding. After the wedding the newlyweds will spend a few days at Brocket Hall, the home of Lord Mount Stephens, and then travel to Cannes and stay at the Villa Livada, which the Duchess of Albany "inherited from Miss Percival."